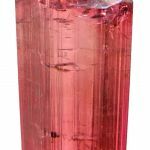 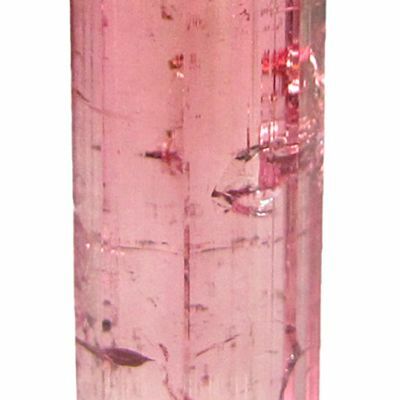 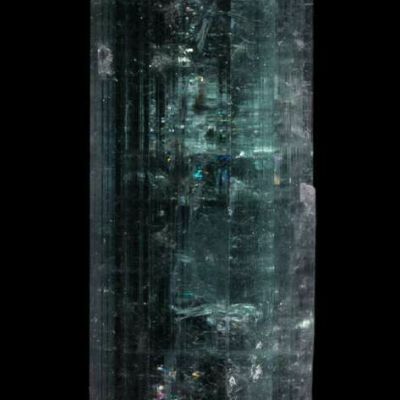 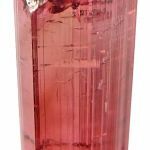 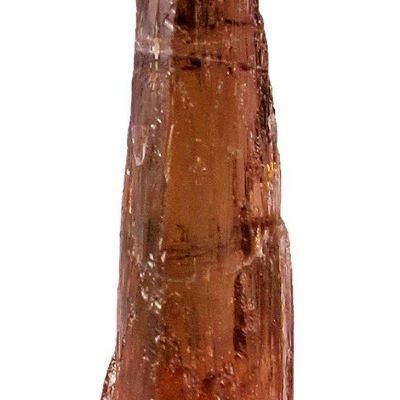 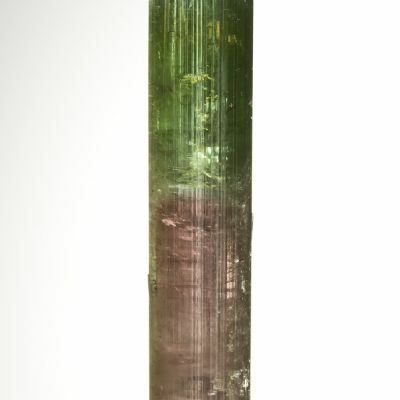 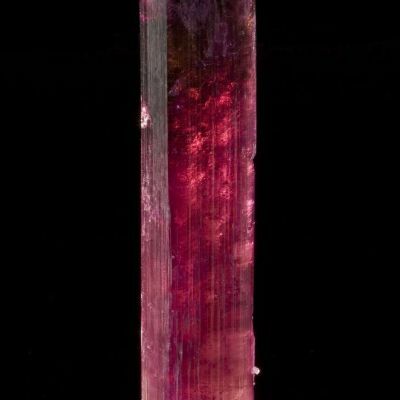 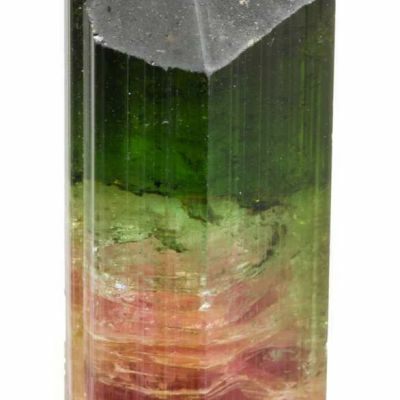 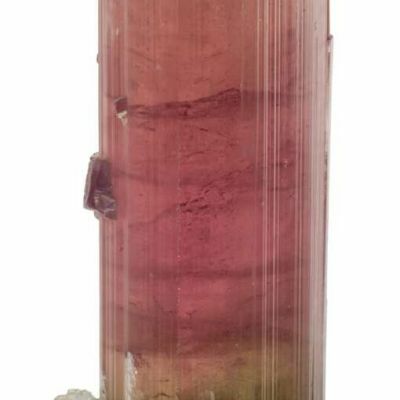 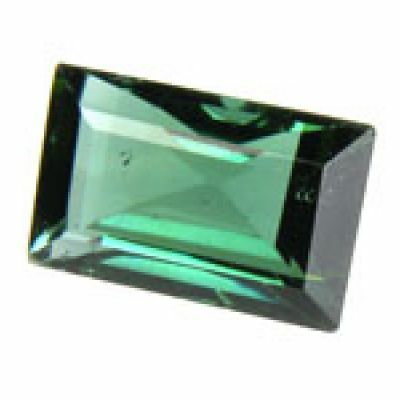 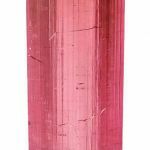 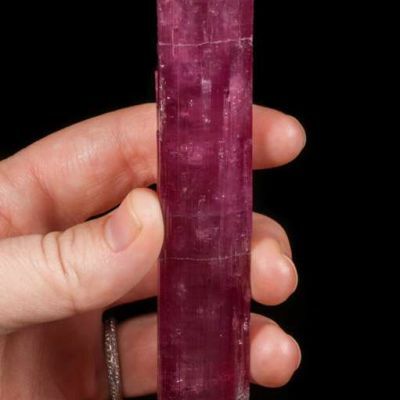 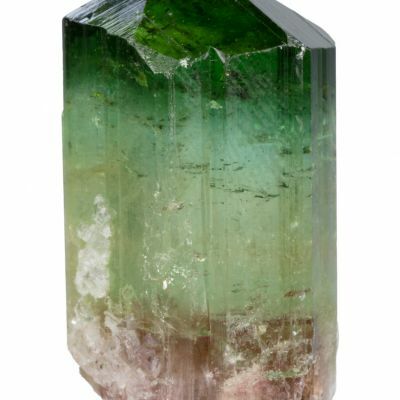 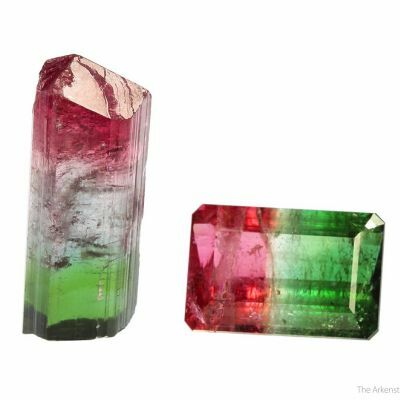 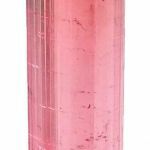 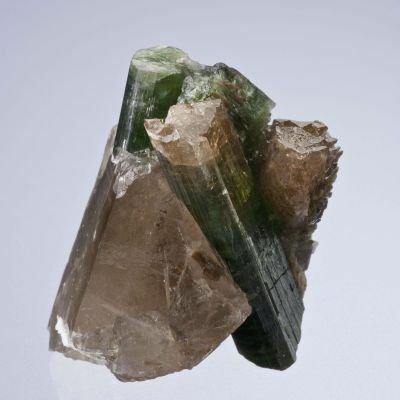 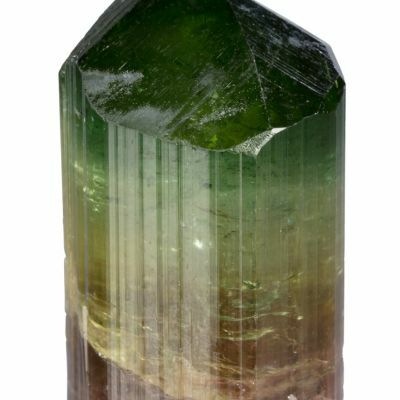 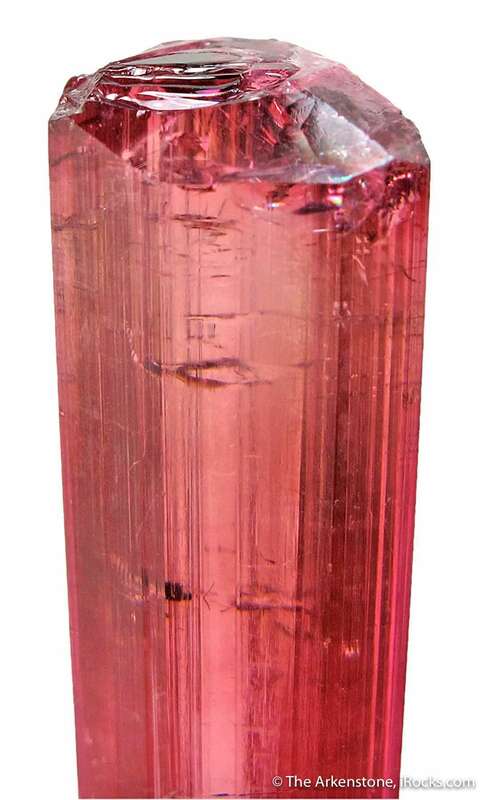 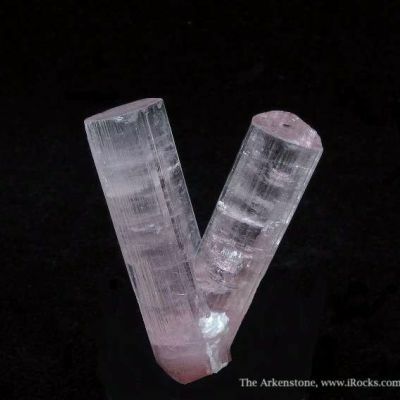 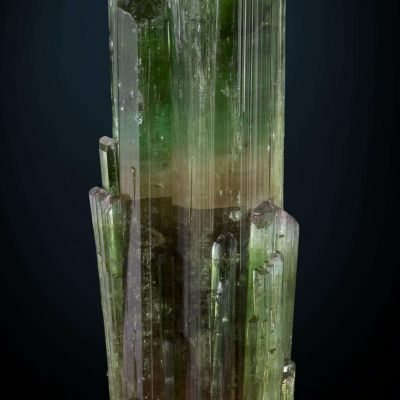 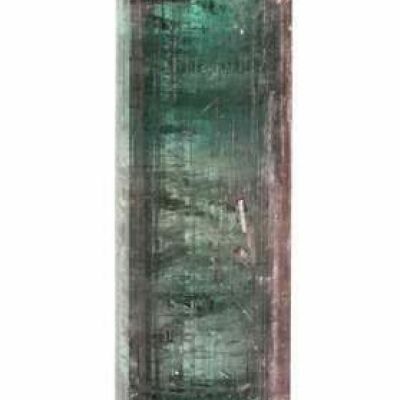 This is a doubly terminated, glassy and gemmy elbaite with a rich rasberry color.One termination is modified by bi-pyramidal faces. 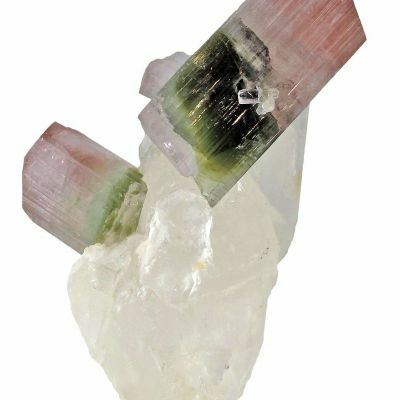 There is a concentration of lighter color under the termination. 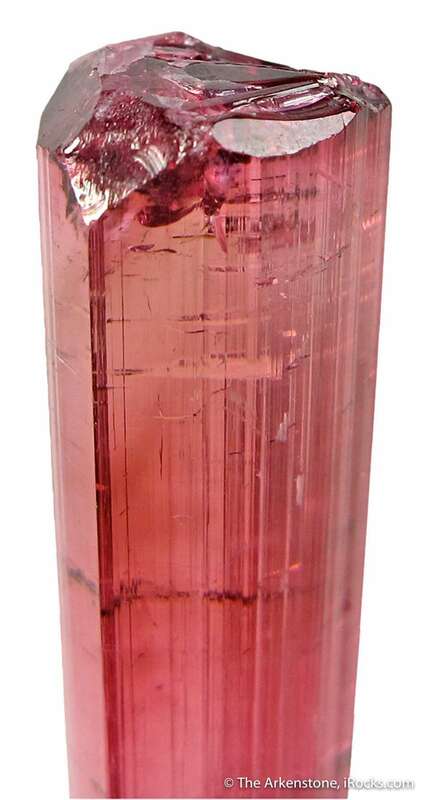 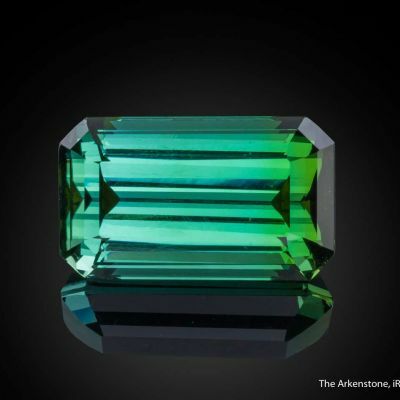 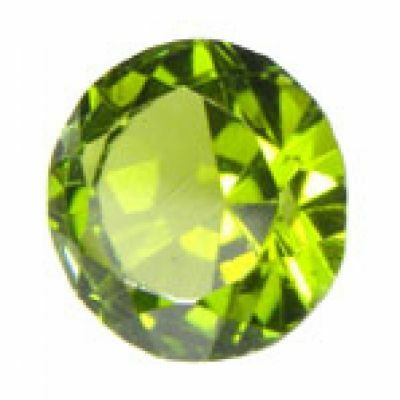 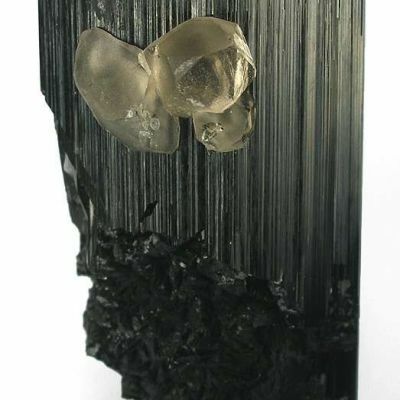 The gem weight is 76.17 carats.